Do you find it difficult to hear conversations in a crowd or that you need to turn up the volume more than you used to? Do you no longer notice the taste or smell of a good meal? Have you forgotten how wondrous textures and human contact can feel? If so, The 15 Minute Fix: SENSES - Exercises To Elevate Your Sensory Perception is here to help train any or all of your senses to perform better. This book will teach you to use sensory exercises to improve your sensory perception, help your brain better interpret the information sent to it by your nervous system, and reintroduce you to the wonders of the world around you. 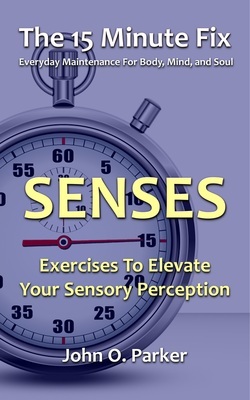 The 15 Minute Fix: SENSES - Exercises To Elevate Your Sensory Perception is available in print and as an eBook (optimized for easy viewing on a smartphone). SENSES - Exercises to improve your senses of smell, taste, touch, and hearing in just 15 minutes a day.